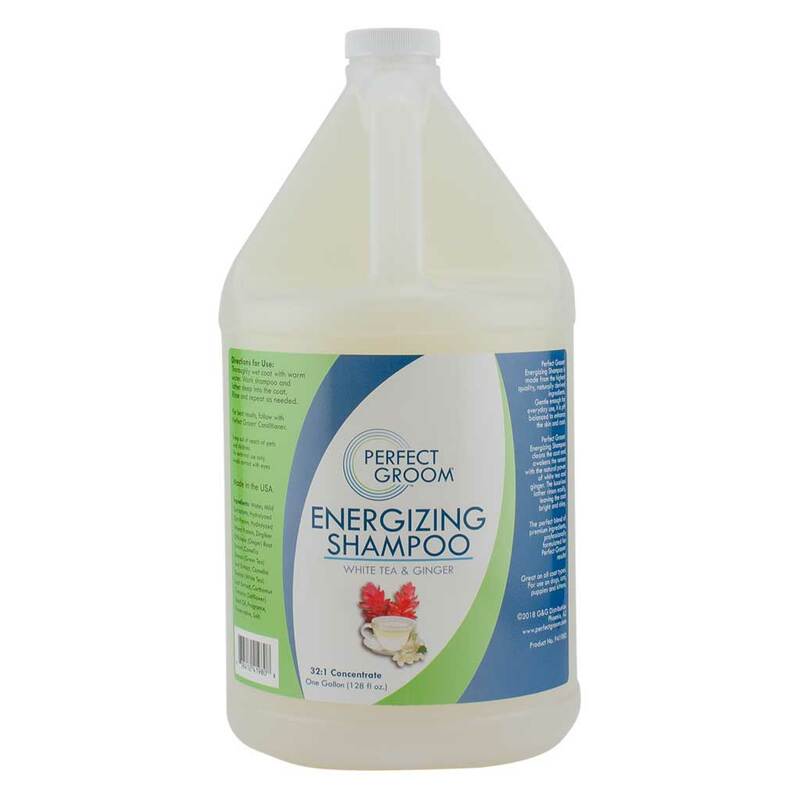 Energizing and invigorating, Perfect Groom Energizing Shampoo with White Tea and Ginger 32:1 Gallon will help awaken the senses as it cleans the coat. Leaves the coat feeling soft and fresh. Water, Mild Surfactants, Hydrolyzed Oat Protein, Hydrolyzed Wheat Protein, Zingiber Officinale (Ginger) Root Extract, Camellia Sinensis (Green Tea) Leaf Extract, Camellia Sinensis (White Tea) Leaf Extract, Carthamus Tinctorius (Safflower) Seed Oil, Fragrance, Preservative, Salt.